Yearly total going into November was 145 yards used -- I'm hoping to hit at least 150 yards by the end of the year so let's see how November turned out. I decided that I would try to not have any purchases this month since my birthday and Christmas are next month. This was made far easier by breaking my foot early in the month. 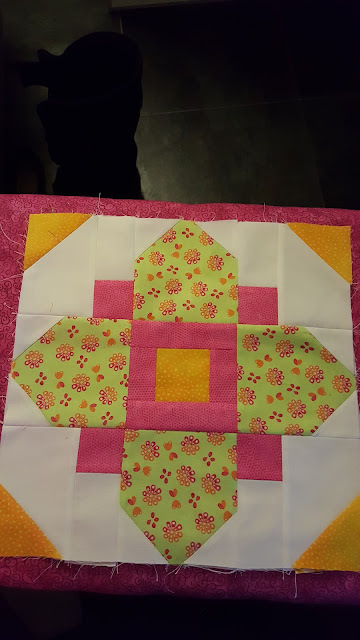 As usual I started the month by making up my bee blocks (-1 yards). 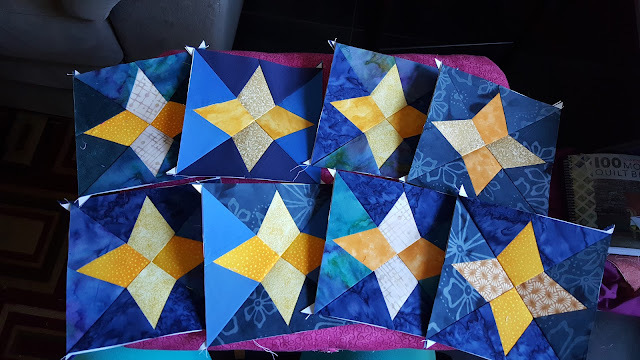 This is the last month for the Stash Bee group and Bev asked for Quatrefoil blocks. The Wee Bee With it hive brought paper pieced blocks this month for Green. This hive has another month of blocks to go. 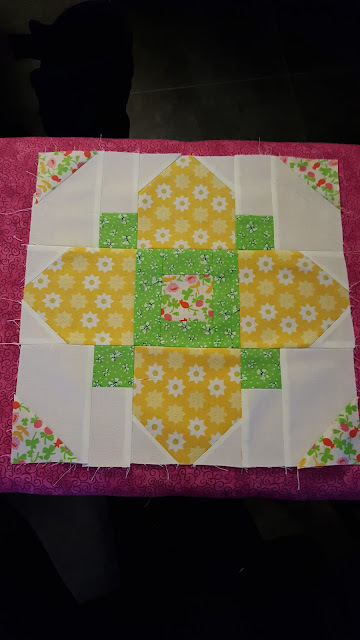 I really like the blocs that I chose so that Green will be able to mix them in with the larger blocks that some of the other ladies are making -- I'm going to be using a variation on these blocks in at least one of my hives next year. I had several quilt tops in the works and needed to make backs and get them basted in preparation for the Thanksgiving break and the days of vacation that I am taking in the beginning of December. Not that I got any of that happened -- maybe fabric pull will happen later this month and the basting and quilting can happen in January. 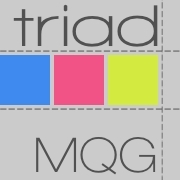 My totals in November were no yards added, 1 yards removed, total for the month 1 yards used. That brings the yearly total to 146 yards used this year so far. I had hoped to surpass that 150 goal and maybe hit 200 yards to start into 2016.